Helvetas helps the rural population take responsibility for the sustainable management of forests, including the tending of young stands of trees. 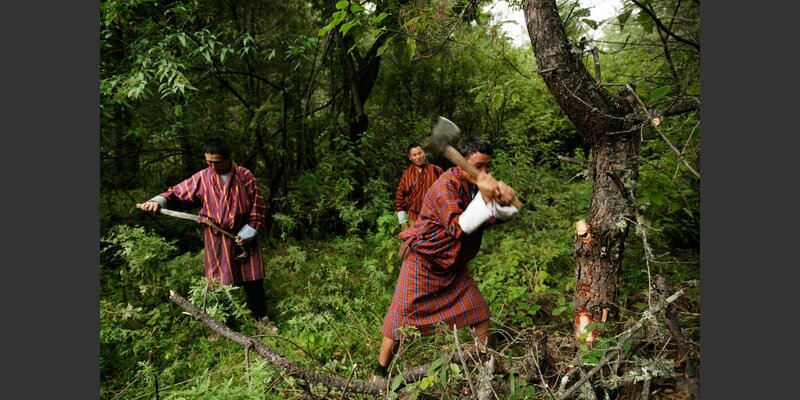 We have assisted in developing the legal basis for community forestry in Bhutan. In few countries are forests as important as in Bhutan. They cover 71% of the country. They store water, protect rural communities and provide them with a wealth of vital resources. 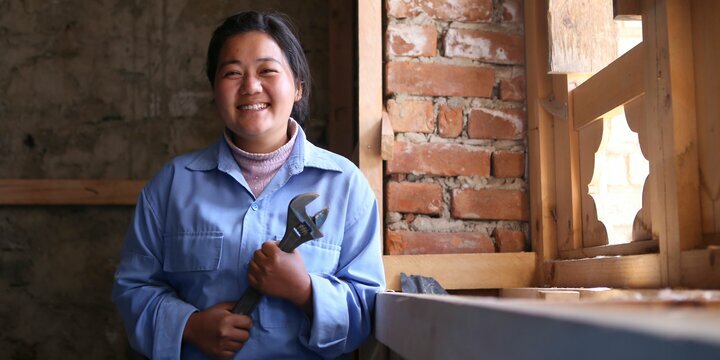 Helvetas has been working for twenty years in Bhutan – for much of that time on mandates of the Swiss Agency for Development and Cooperation (SDC) – to enable the population to take responsibility for managing the country’s vast forests. Local residents now protect and tend these rich resources according to a forest management plan. They look after young stands of trees and utilize the available resources, such as timber, bamboo, medicinal herbs and mushrooms. They make sure no one overuses the state-owned forest and that everyone gets their fair share of the profits on timber sales and the firewood for their own use. Helvetas has assisted since the outset in drawing up Bhutan’s forest policy, in the participatory management of its forests and in drafting its forestry law. Since the mid-1990s, hundreds of groups have formed up to utilize the forest for the general welfare. 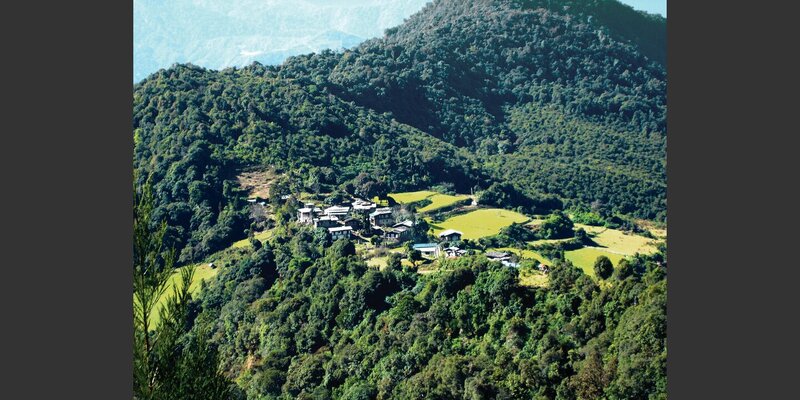 One third of all rural households in Bhutan belong to a single forest management group. In 2017 these groups managed nearly 800 square kilometers (80,000 hectares) of forest, an area roughly equivalent to half the size of London. Development specialists and experts at Bhutan’s Ministry of Agriculture and Forests agree: the groups formed to use forests collectively are the broadest and most important social movement in the country. So now that the country’s basic forest policy is on track, we can shift our focus from one of our most successful programs to the next phase of related objectives. Consolidating means tying this successful community forestry approach into government programs even in places where its importance is still underestimated. Consolidating also means giving added support where the work of forest user groups can be improved, e.g. by increasing women’s participation as well as fostering inter-group cooperation. Capitalizing means summing up what we have learned from many years’ involvement here and making this know-how available to others who have not been involved in the Helvetas project so far. Lastly, communicating means presenting and putting across that knowledge effectively and comprehensibly. On a web site with readily understandable explanations and topical video clips, for example. 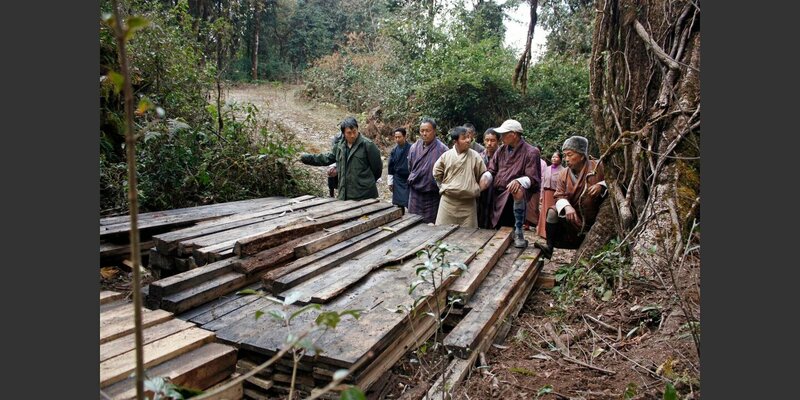 So as to make the sustainable forestry as much a matter of course throughout Bhutan as passable roads or clean water.